quality Australian hand made Goats Milk Soap products. ingredients, are great for your skin. bring a new dimension to hair care. We at Soap Creations and Body Care trust you will enjoy your visit. Our website is constantly changing as we develop and create new Goats Milk Soap products. Soap Creations & Body Care is focused on providing high-quality Australian hand made Goats Milk Soap products using only the finest top quality materials, and absolutely no animal testing is used at any stage of our production or from any of our raw materials suppliers. With a variety of offerings to choose from, we’re sure you’ll be happy with our Goats Milk Soaps, our other products and our service. Look around our website and store, if you have any comments or questions, please feel free to contact us. There are 13 different bars in our Goats Milk Soap range all lovingly handmade. 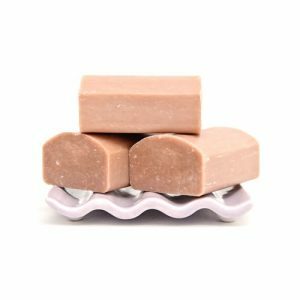 All our soap bars are made with Australian goats milk and weight 124grams when made, and you can expect them to last you between 4-6 weeks with normal use. There should be a few bars that you would enjoy! Check out the varieties below. Enjoy your viewing experience, and we look forward to hearing from you.